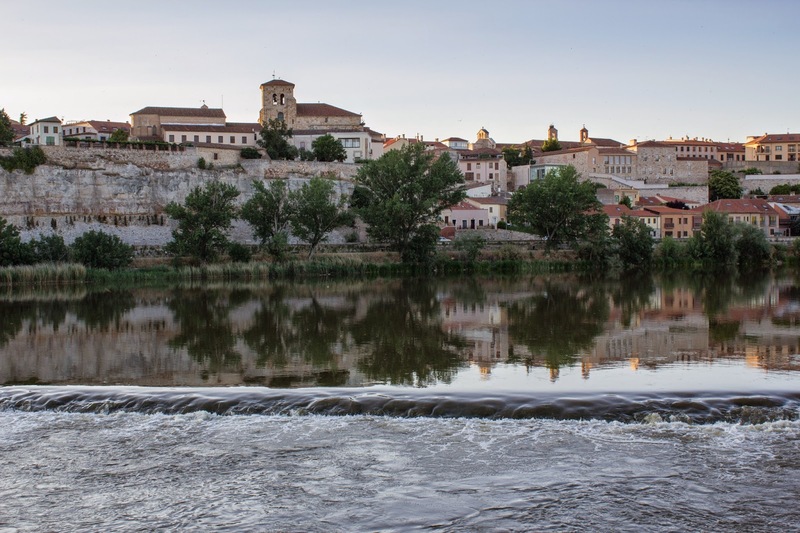 In the 15th century the Jews lived there (Zamora) in two districts. The population in the aljama was small and numbered only a few hundred. Nevertheless, it was larger than the surrounding communities and is mentioned among the major ones in the tax-collection for the war against Granada. Lacking in quantity, this vibrant Jewish community more than made up for it in quality. It became famous as one of the foremost centers of Talmud study in fifteenth-century Castile. There the great Rabbi Isaac Qanpanton headed his yeshiva, which was to become the source of a unique analytic method of Talmudic study. That method was spread by his disciples thorough Castile and on to the East after the expulsion. After Qanpanton’s death (1463), Zamora shared its fame with other centers notably Toledo and Guadalajara. Rabbi Samuel Valensi, one of Qanpanton’s foremost disciples, was his master’s successor in Zamora and produced such scholars as Rabbi Moses Al’ashqar and rabbi Jacob Ibn Habib. We know also that the great philosophical preacher, Rabbi Isaac Arama, lived there before accepting a position elsewhere. Arama’s praise for Zamora is unequivocal. When he tells about his intellectual life there he describes its location and his feelings toward it in phrases such as “Fair in situation, the uttermost parts of the North”, appropriated from the Psalmist, who used these expressions to describe Jerusalem – “the joy of the whole earth…” (Psalms 48,3). Zamora also produced one of the earliest Hebrew printing-houses (1484). Generally, this was a sign of the cultural centrality of a community, as evident from the fact that the other printing-houses were established in Toledo and Guadalajara, in those years the other major Talmudic centers in Spain. This holds also for Lisbon, which was the major center of Portuguese Jewry, and for printing-houses in Italy and Turkey in the 16th century. It was in such a Torah center that (Abraham) Saba lived. It was also there that he wrote the first part of this commentary Zeror ha-Mor on most or all of the Genesis. Abraham Gross, Iberian Jewry from Twilight to Dawn. The World of Rabbi Abraham Saba. Leiden, E.J. Brill, 1995, 6-7.